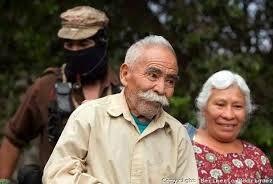 EZLN, Chiapas, Mexico Compañera Emilia: We got the news just a few hours ago. We don’t know how long it will take for these lines to reach you, but we know that regardless of the date, you will be able to read in these words the collective embrace that we send you. 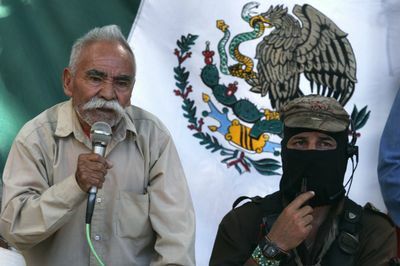 That is because here we also feel the pain and sorrow of the death of Don Félix Serdán Nájera, honorary officer in our Zapatista National Liberation Army, this past February 22 in the early morning hours. P.S. 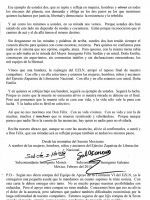 According to what we are told by the Support Team for the EZLN’s Sixth Commission, you have already received a small contribution that we sent as soon as we learned this sad news. With this letter comes a little more. It is not a lot because our possibilities do not allow for much. But support between compas has no measure. 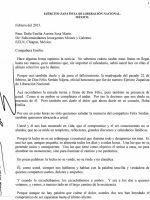 We know well that this does not relieve the pain of loss, but we also know that you have suffered economic hardship due to the long illness of our compañero. We are certain that the compas of the Sixth everywhere in the world, like us, will support you with whatever they can. The text uses “otroas” meaning “other,” to give a range of possible gendered pronouns including male, female, transgender and others. The text uses “muchos, muchas, muchoas” to give a range of possible gendered pronouns including male, female, transgender and others.